Headaches are one of the most universal types of pain that affects us. They can affect people of any age, and they can also range in their level of pain. Some feel like a minor throbbing, while others are much more severe. For example, migraines are a more severe type of head pain that can last for days. Headaches can often seemingly come out of nowhere, and they can be difficult to get rid of as well. Many people feel like they just have to wait for their headaches to go away on their own. If you suffer from headaches and nothing seems to make them go away, then you may want to give headache pressure points a try. Acupressure has been used for thousands of years to relieve pain and tension from headaches (1). What Causes Headaches and Why Does Acupressure Work? Headaches have some common triggers and causes. Hormonal changes, for example, are one of the big causes of headaches. In fact, up to two-thirds of women may experience headaches during their periods, due to these changes. Other sources of hormone fluctuations include medications or the onset of puberty, both of which can trigger headaches. Another big cause is stress. When people are experiencing physical, emotional, or mental stress, the result can often be painful headaches. Foods and beverages can cause tension, inflammation, or other bodily changes that lead to headaches as well; alcohol, coffee, and tobacco are all headache sources. Acupressure works to relieve tension in the body, helping to minimize headache pain and eliminate it quickly. It does this through the application of pressure to certain points on the body. In traditional Chinese medicine, acupressure is believed to work by balancing your body’s energy flow, however modern science believes that it mainly works by relieving muscle tension, boosting circulation, and increasing your body’s endorphins. In either case, it appears that you can use pressure points to get rid of a headache. 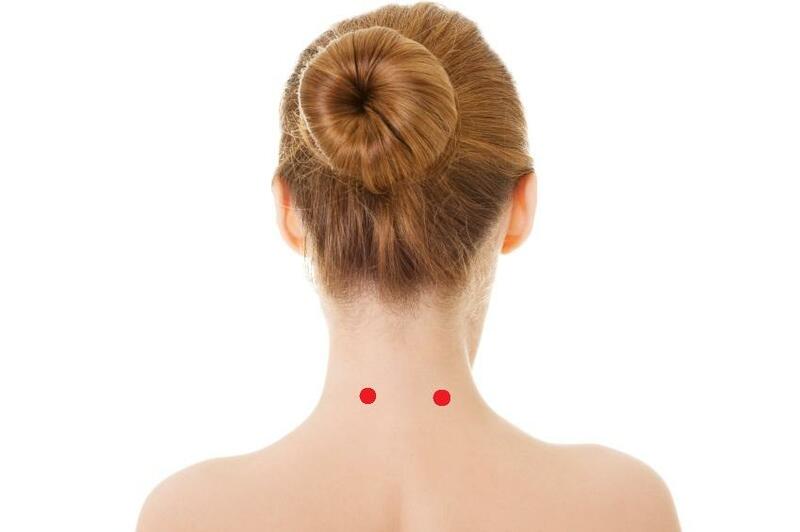 Here are some of the best pressure points for headache relief (2). As strange as it may sound, there are headache pressure points on the hands, feet, and other areas far away from the head. 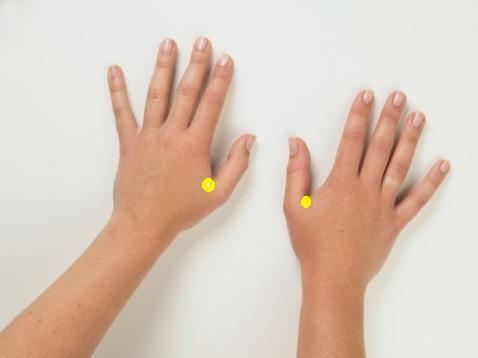 One of these spots is right on the web between your index finger and your thumb. By pinching this fleshy area with your other hand’s thumb and index finger, you can relieve headache pain. You can press and massage the area for a couple minutes at a time. This pressure point can also help with toothaches, arthritis, and neck pain. However, pregnant women should never use this pressure point. It’s believed that this pressure point can cause contractions in pregnant women, so it’s best to focus on other areas if you’re carrying a child. 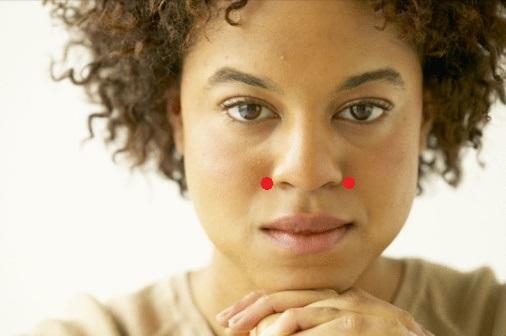 Right between your eyebrows, above the bridge of your nose, is one of the best pressure points for relieving headaches. Not only is this pressure point great for headaches, but it can also help clear sinuses, as well as tension around the eyes, face, or head. With one finger, press into this spot and apply pressure. Hold your finger there for several minutes before releasing. Doing this a few times each week can help relieve headache pain. There are also pressure points for headaches over your right eye and left eye, slightly to the side of the Third Eye pressure point. Just move your finger over about a half-inch in either direction to stimulate these pressure points. Another couple of pressure points that are effective for relieving headache pain and sinus congestion are the Bright Light pressure points. These are located just beneath the tip of your eyebrows. 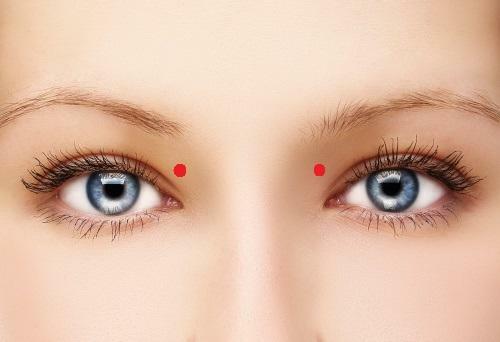 There is one of these pressure points for each eye, just above the eye and below the eyebrow tip, in the fleshy area surrounding your eye. Both pressure points can be stimulated using one hand. Apply pressure for one minute, and then release. This will help relieve tension. There are pressure points for headaches on the right side and left side of your face. Like the other pressure points on your face or head, these are particularly effective for eliminating headache pain and congestion. 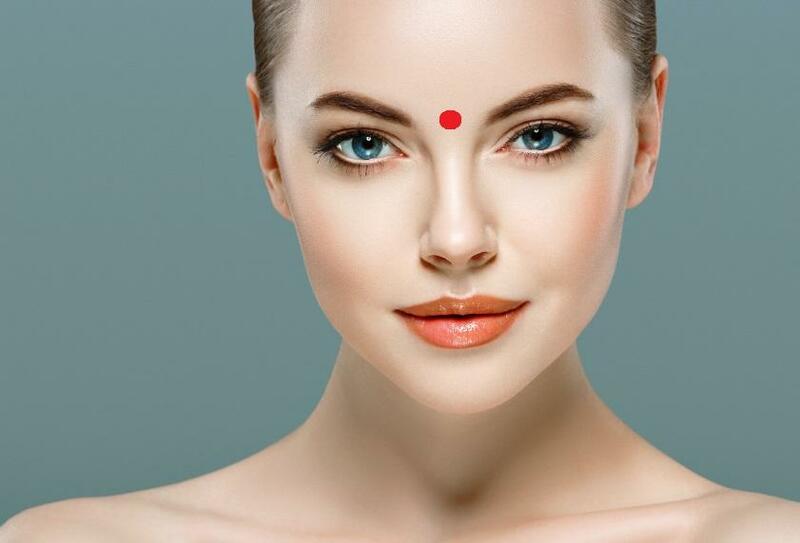 These pressure points are directly beside your nostrils, beneath your cheekbones and aligning with your pupils. Apply pressure to these two points for one minute each. This can be repeated whenever you have headaches or several times throughout the week. If tense muscles in your neck are contributing to your headaches, then it follows that neck pressure points should be effective for reducing headache pain. In fact, there are two which can be particularly effective. These two points are located right at the midpoint between your ear and spine, about halfway down your neck. You should be hitting the areas where the muscles meet. Apply pressure to each of these spots for a couple of minutes, which will help ease headaches, along with sore or tense necks. If you move a little lower, you will reach the Heaven’s Pillar pressure points, which are located roughly a half-inch below the base of your skull. To stimulate these points, tilt your head back and massage the area with a circular motion. If you’re trying to relieve yourself of headache pain, you probably wouldn’t think that your feet would be much help. However, there are pressure points in your feet that can help with relieving tension and easing pain. On each foot, between your big toe and second toe and roughly half an inch lower than the top of your foot, there is a pressure point. Massage this pressure point and apply pressure for up to five minutes at a time. Also worth mentioning: if you move between your fourth and fifth toes, and then move another half-inch up, there is another pressure point you can stimulate. While pressure points can work to relieve headaches, there are some cases where it’s important to see a doctor. Headaches are a common problem, but sometimes they can be indicative of a more serious health issue. Headache causing blurry or distorted vision. Headaches are one of the most common types of pain. Most people will experience a headache at some point in their life, but for some people, headaches can be a reoccurring, chronic problem. Headache pain can range from annoying to severe, and can have a negative impact on our life. Pressure points are effective for reducing headache pain. There are a number of headache pressure points throughout the head, face, neck, hands, and feet that can help us alleviate pain, relieve tension, and improve circulation. So if you have an aching head, make use of the benefits of acupressure!